Artis Altai, located in Mongolia in the heart of the Gobi Desert, is an artisan’s workshop that provides employment opportunities for women who have little or no income. The women at Artis Altai combine traditional felt making expertise, used since the time of Genghis Khan, with innovative contemporary craft designs. Every purchase contributes directly towards improving the living conditions of women and their families while offering hope, confidence and dignity through professional activity. This business is now a legal co-operative, owned and managed completely by the women themselves. 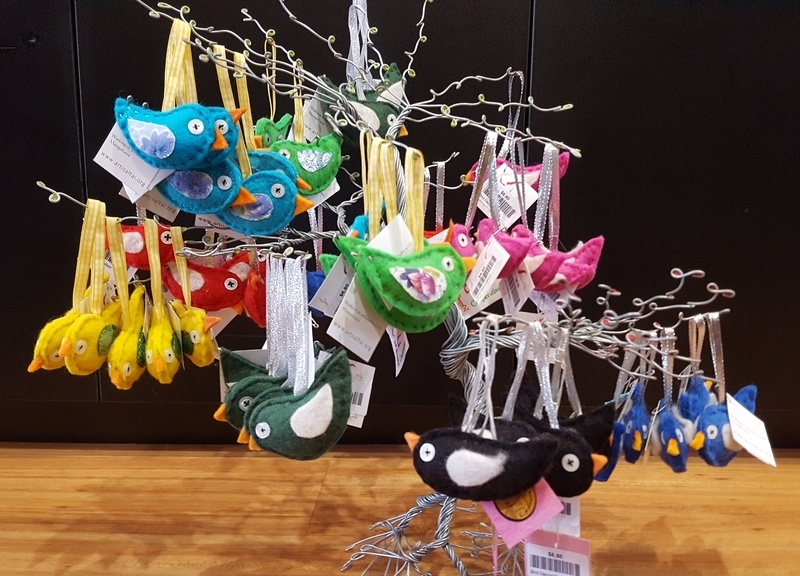 Each one of these gorgeous little bird decorations have been hand felted, hand dyed and carefully stitched by hand also. They are a delightful addition to your Christmas decorations or simply a cheery decoration to hang up anywhere (in a childs room or on a bag).